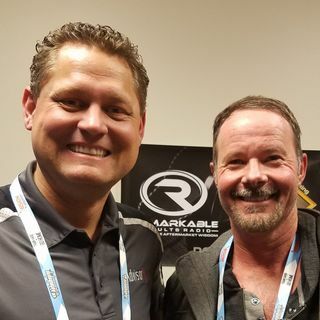 In the 2018 Vision KC Studio longtime friend of the podcast Jeremy O’Neal from Freedom Automotive and Advisor Fix and shop owner and business trainer/coach, Keith Benline. The goal of these 10 steps is to give you the Freedom to have a stronger work-life balance and to lead your people to run your business. Benline says working smarter not harder as business owner, being a strong leader and don’t be afraid to let go and empower your ... See More employees. He also says you need to allow mistakes to happen and use them as a coaching moment. Find your strengths and implement while surrounding yourself with people whose strengths are your weaknesses and don’t forget it’s the people that make the business run, always treat them and respect them as people.